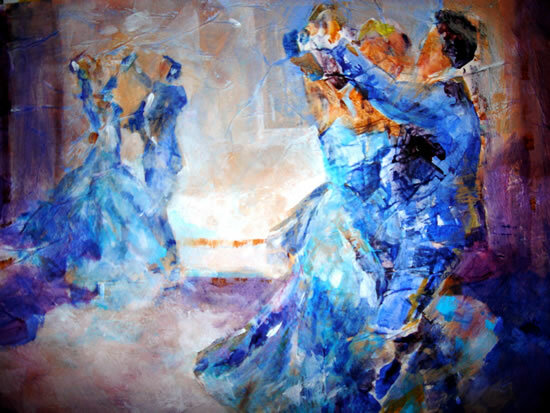 Swirling Ballroom Dancers Waltzing - Dance Gallery of Art - Paintings by Sera Knight Artist - Horsell Woking Surrey England - Sera Knight - Surrey Artist. Art in Watercolour, Acrylic, Mixed Media. * If you are the purchaser of this painting, please contact Sera.